Where does your TOILET WATER go? 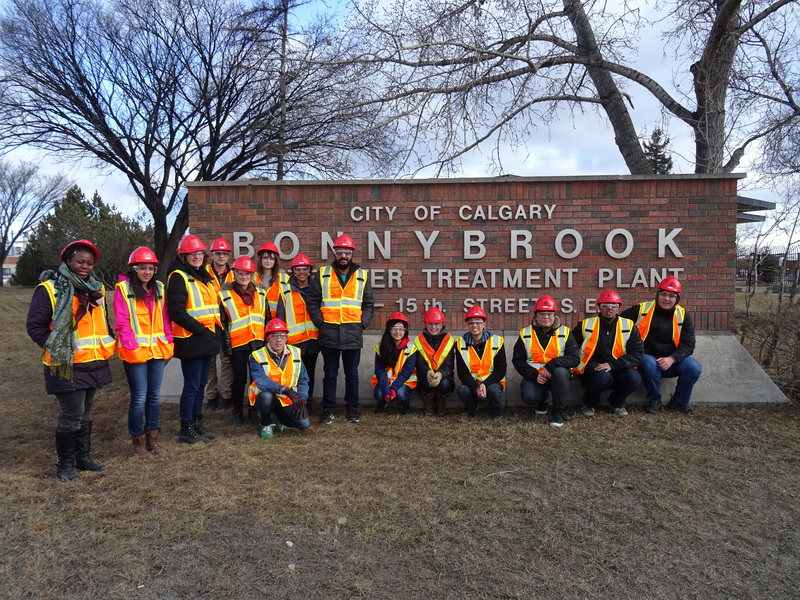 Today we spent our day at the Bonnybrook Wastewater Treatment Plant, exploring the processes involved in the recycling of wastewater. Our wastewater quality is important because our wastewater is the future water input for cities downstream of the Bow River. It is important to be good neighbours. Though pungent smells were present, the tour was very informative. We got to see the steps the City of Calgary takes to remediate the water from the drainage of sinks, toilets, bathtubs, etc., in Calgary. These steps were named in the order of the events that occurred: preliminary, primary, secondary and tertiary. In the preliminary step, the big physical components (bottles, debris and other solids) were removed. The primary step used clarifiers to separate the sludge and fats, oil, greases in big open tanks. The sludge was then treated through anaerobic conditions in bioreactors. The next step was filtration with the use of microorganisms and the pumping of oxygen to remove nutrients in the water. The final step was U.V. disinfection to kill the microorganisms. After these rigorous steps, the water is of a much higher quality and can be released back into the Bow River. Actually understanding these intensive processes was fascinating. The speaker mentioned how other cities actually dumped raw sewage back into the water bodies, which was astonishing to us. No treatment! Pollution! Definitely not environmentally sustainable! 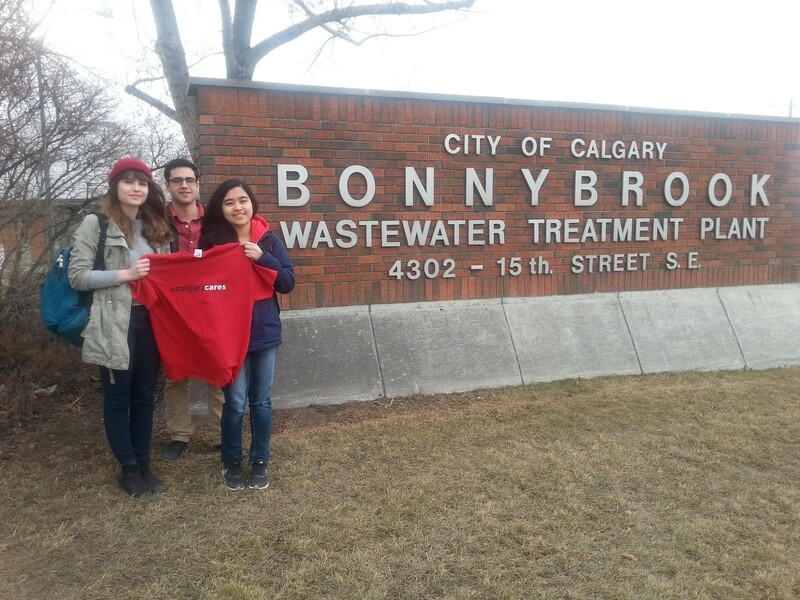 The speaker also mentioned that Calgary received an A+ in the way we treat our wastewater. Not only does our plant treat the wastewater, it also promotes sustainable projects. For instance, methane is a by product of the bioreactor and aids the powering of electricity in the plant (about 70%). Fertilizer is also created and is used in a program called Calgro mandated by the City of Calgary. Furthermore, Enmax just partnered with the Bonnybrook plant to use wastewater as a coolant for their electricity equipment. 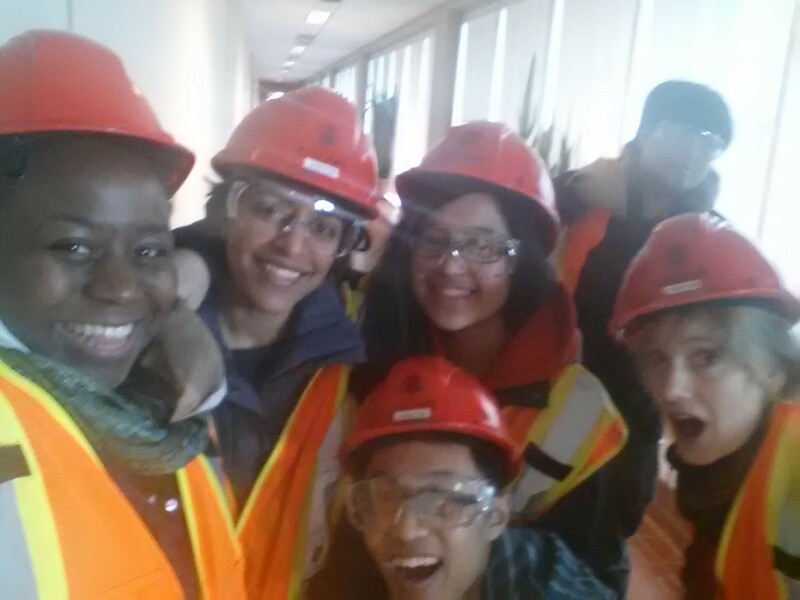 These projects really showed the steps the City of Calgary was taking to try to be sustainable and really impressed us. How can I help wastewater quality? Don’t flush down the toilet or throw down the sink items such as fats/oil, solid materials, organics, condoms etc. Basically only allow water, toilet paper and poo! You made an effort to recycle by throwing the correct things into the correct bins but where does your recycling go? 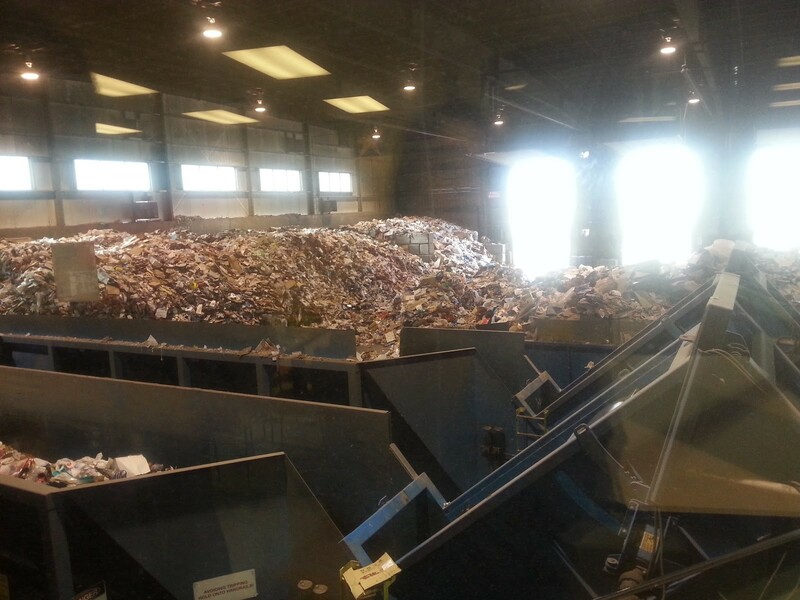 They end up at the Materials Recovery Facility which sort and distribute the recycled items. Many of us throw items in the garbage which can be reused, recycled or composted. Items in the landfill do not break down nearly as fast as we think, thus, the landfills are running out of space. In fact, it is estimated that we only have 30 more years of landfill space left in Calgary. WOOOAAAAHHH!!!! What are we going to do? The City has got us covered with a 80/20 by 2020 plan. This means that by 2020 Calgary intends to divert 80% of the waste from the landfill (through recycling, reusing and composting) with only 20% of waste being sent to the landfill. Recycling in Calgary ends up at the Materials recovery centre but 10-12% is contaminated by us throwing the items into the wrong bins. Soooo…. where does it go? Clothes- If it can be reused give to goodwill, homeless shelters, etc. Also… Recycling is coming to condos and apartments. Composting will be coming to residential homes soon too. YAY!!! Does one individual make a difference? How do you influence change from the outside of an organization? How do you get an entire community to change? If you had to build a new city from scratch how would you start? Goodbye friends… until the post-service workshop. This entry was posted in Reading Week 2015 and tagged student posts, Sustainable Cities. Bookmark the permalink.